Tonight and the night before last Marmite had been shut out on her own at bedtime. Last night both Marmite and Spangle were shut out. They were both sat on top of one of the nest boxes and tonight Marmite was on top of the nest box on her own. I felt so sorry for her. She whimpered as I went through the gate and I picked her up and placed her on the amigo’s perch. I checked on them near to bedtime last week and this is what I think is happening. It was getting dark and the bigger girls and Cinnamon and Dandelion were on the back perch. The silky girls were pecking at shavings in the pop hole and blocking it so that the amigos couldn’t get in. I don’t think this is particularly intentional. They just enjoy pecking at the shavings before settling and it’s by the pop hole that it’s light enough for them to do this. The amigos being lower ranking have to wait for the silky girls to perch at the back before they can make their way in. By this time the door is closing. On the day that I saw this happening two of the amigos got in in time and three got shut out. I think that because Marmite is firmly bottom girl and is timid she is the one who mostly doesn’t get in in time. All of this wouldn’t happen if they went in earlier and I am not sure why they are leaving it so late. I think it is going to be inevitable that one or more girls are going to be shut out each night. I will continue to go up to them either just after the pop hole has shut or just before the pop hole shuts to make sure that they are all in. I had wondered if I was a distraction for them and if by going to check on them later they would have more of a chance of going in but this clearly isn’t the whole story. Luckily I will always be here to put them in so it’s not a huge problem it’s just a bit annoying that they can’t work it out for themselves. Pecking order accounts for so much in the chicken world. 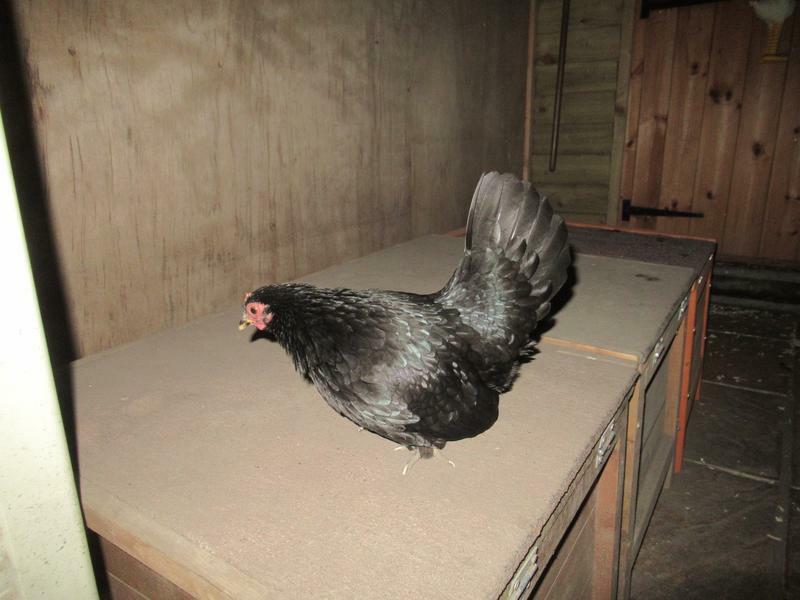 She is one beautiful bird – lovely feathers and lovely serama posture. 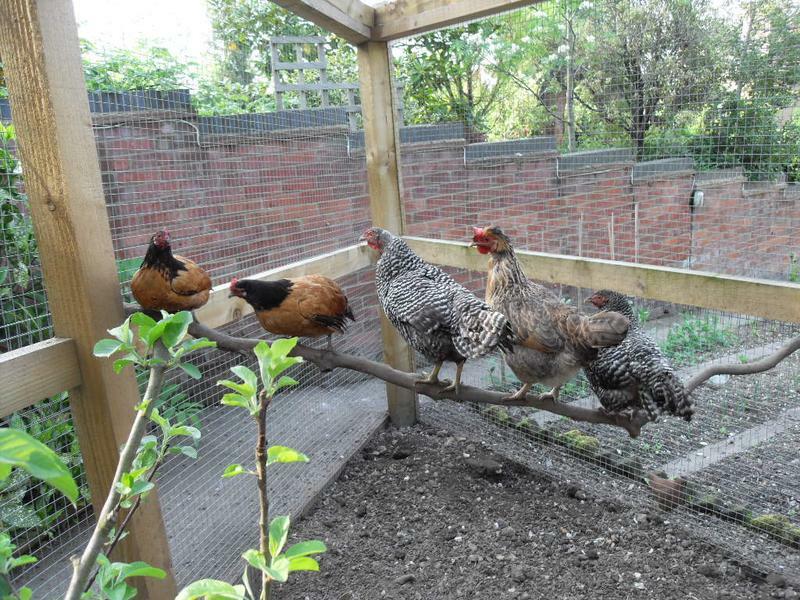 When you know chickens as we do you know that the pecking order is so important to their behaviour. Marmite is a beautiful girl. That photo really shows her off. Good job they have you, as their keeper. Some people would not even go up and look after dark. With this lot I would never miss checking. I have always liked to check anyway but it’s more important with these girls as they can’t be relied on to get themselves in.